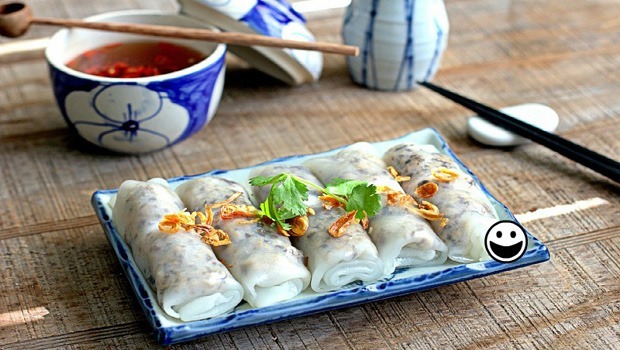 Vietnamese steamed rice rolls is a quite famous dish, especially in Hanoi. It is well-known among foreign tourists coming to Vietnam. If you have chance to come to Hanoi, you must try this dish. Or else, you can make it at home within just a short time period. The ingredients required for this dish are very simple to prepare and this dish actually comes to give eaters brand new experiences. This dish can be considered a special type of pancake, yet steamed instead of fried – on a large, flat pan with a lid. Sound strange? 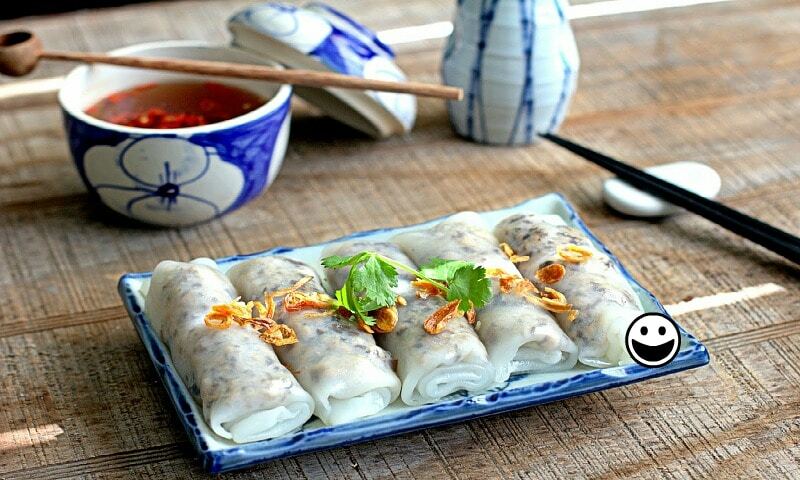 There are many other dishes in the world are also made this way, and now is time for you to discover how you can make Vietnamese steamed rice rolls at home with ease. You may raise a question in mind that why you should try this dish; and the answer lies in the taste of it. 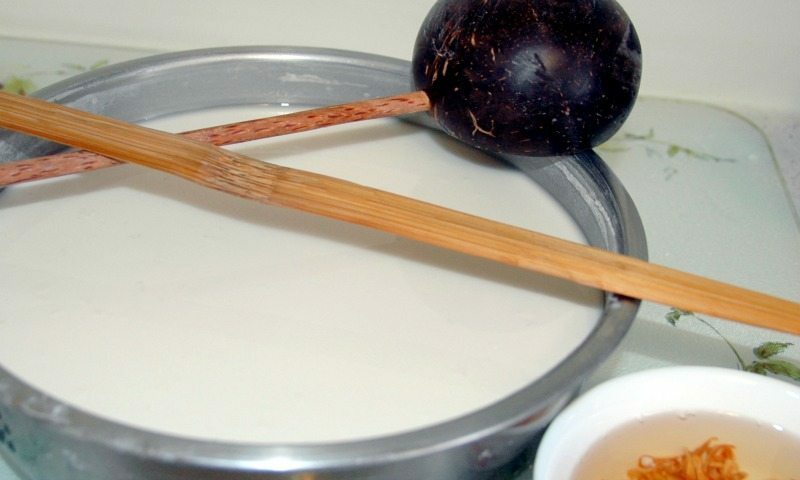 After following just some simple steps below, you will get white, smooth, and fresh steamed rolls, and have chance to enjoy a special sauce that can attract any traveler coming to this beautiful country – the sweet and sour dipping sauce. Vietnamese steamed rice rolls is perfect for hot or cool summer as it can be ate at room temperature. If you are busy, you can make this dish the night before and enjoy as a quick yet delicious breakfast the next morning. This dish is also very good for the gut of small kids as it is soft and smooth, making it easy to swallow. Last but not less important, this dish provides enough nutrients and energy your family members need for daily activities. Start making it and enjoy! Fish sauce – 1 tablespoon (For replacement, you can also mix 1 teaspoon salt with enough water or you can also use soy sauce instead if you are a vegetarian. Clean all fresh ingredients and allow them to dry naturally. 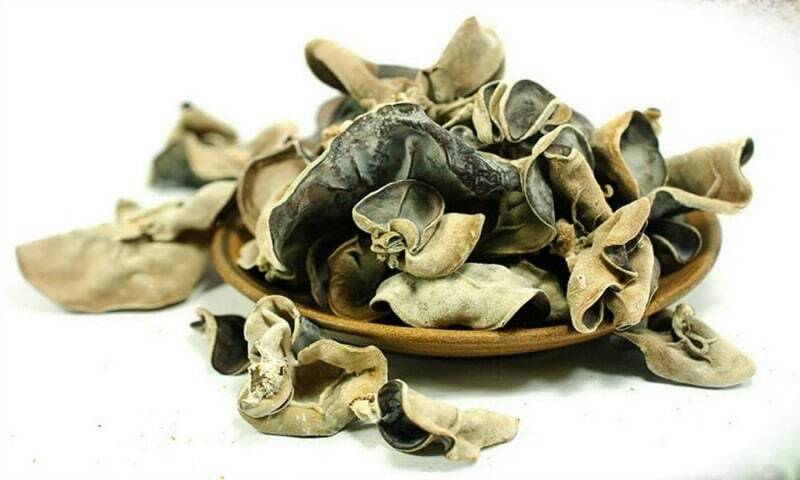 You also need to wash dried (or fresh, depending on which available for you) shiitake mushroom and fungus before soaking them. Mix the two flours within a pot with water, some salt and a few drops of cooking oil. The oil will ensure that the rolls will not stick together, making it easier for you to separate them. Stir and let it sit for 20-25 minutes. Meanwhile, soak the shiitake mushroom and fungus for 10 minutes in hot water. Take out and chop them finely. Heat a medium-size pan over high heat with some cooking oil. Add finely chopped dried onions to the pan and stir quickly. 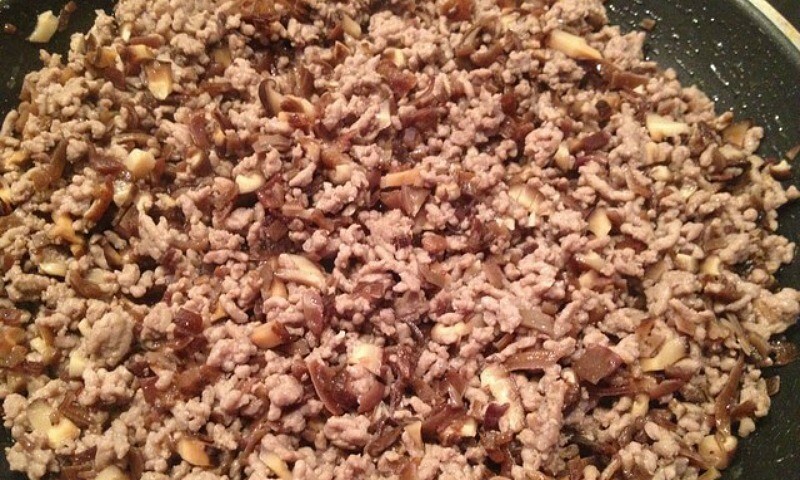 Pour the pork – mushroom and fungus mixture into the pan and stir constantly till cooked. Turn off the heat and take the pan out. Let it cool. Mix all spices in the 3rd part of the ingredients list to make the dipping sauce. Stir well to combine all ingredients. Heat a large-size and flat – bottom pan over medium-low heat. Add some cooking oil to coat the surface of the pan with a thin layer. Stir well the mixture of flours and water once again. Pour a large ladle of the thin flour mixture onto the pan and quickly tilt the pan to various directions to get a thin layer of flour coating the surface of the pan. Cover the pan with a lid for about 15 seconds and open it up. Use a chopstick to reeve underneath the cake and take it out. Arrange the cake onto a large and flat surface; sprinkle the mixture of pork, fungus, and mushrooms; and quickly roll it on. Top the roll with some crispy fried dried onion slices. Keep doing with other rolls until the last one formed. Enjoy homemade Vietnamese steamed rice rolls with sweet and sour dipping sauce and cucumber or coriander if desired. You can also prepare pickles to serve together with this dish. Perfect! In summary, Vietnam is a very beautiful country with a long history of the wet rice civilization and Vietnam’s food is actually an extremely huge treasure that will take people long long time to explore. 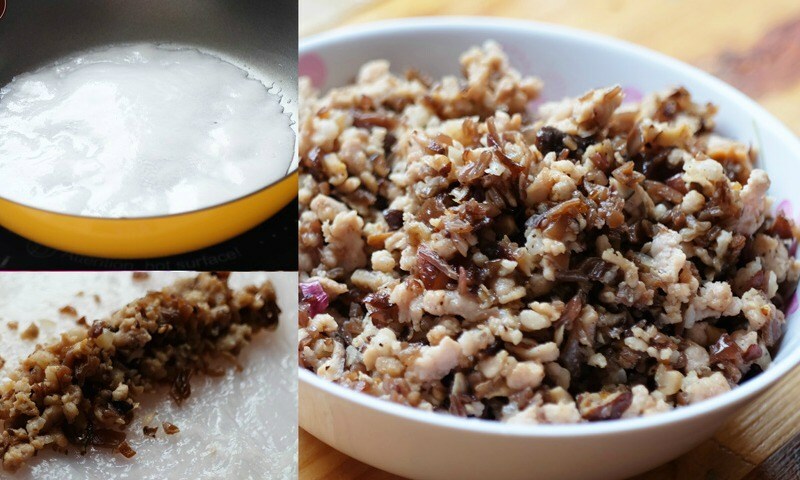 There are many dishes made from rice and rice flours that Vietnamese people prefer making in their everyday life. Hope that this Vietnamese steamed rice rolls recipe will give people all over the world a brand new experience of a brand new dish that everyone can make at home. 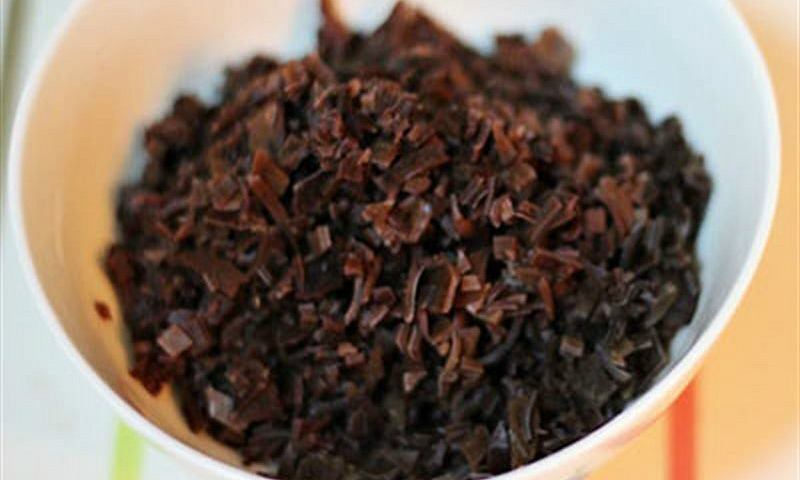 Just follow all steps introduced in this recipe and you will never regret!